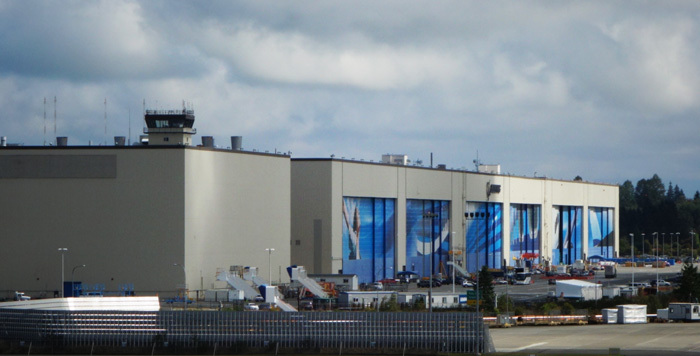 It's the largest building by capacity in the world! 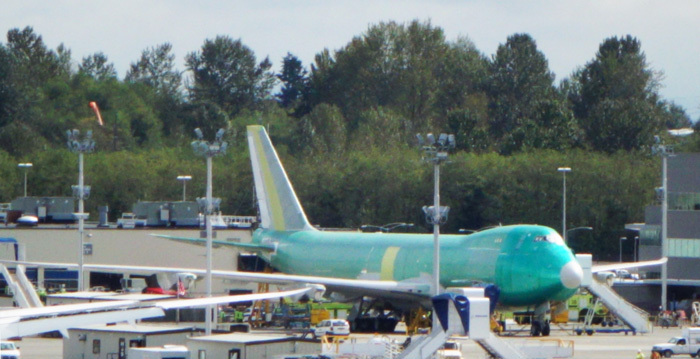 A new 747-8 cargo plane complete and ready for the paint shop. 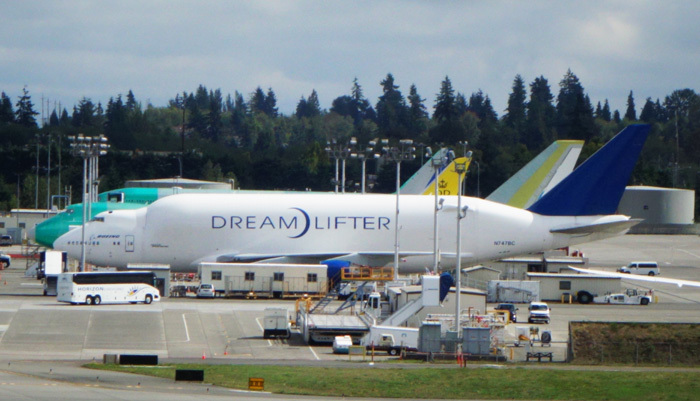 A Dreamlifter - one of four modified 747s used to fly 787 parts from all over the world here to Everett to assemble the Dreamliners. 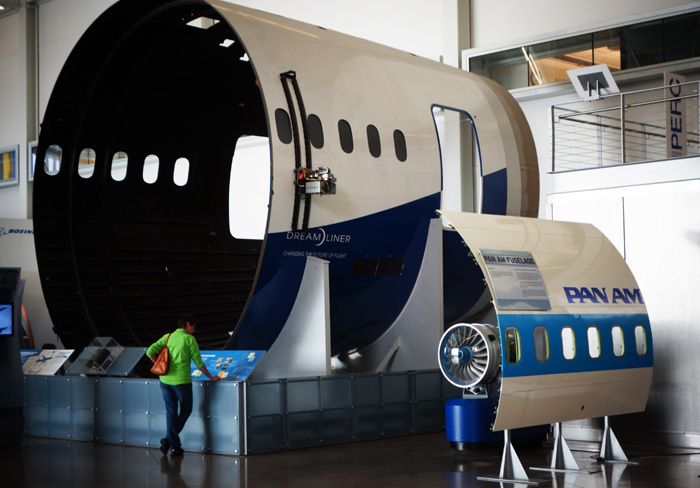 This wing test facility load tests wings on the airframe.